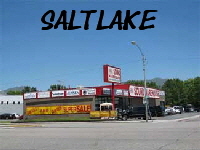 Sound Warehouse Locations - Salt Lake City, Orem, Ogden. Hours 10am to 7pm Monday-Saturday, Closed Sunday. 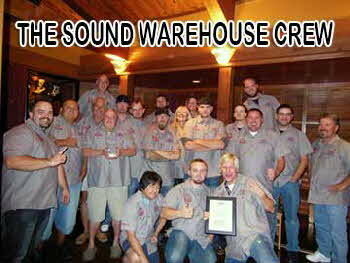 SOUND WAREHOUSE HAS BEEN IN THE “CAR STEREO” BUSINESS SINCE 1979. WE HAVE SEEN THE 4 AND 8 TRACK AND EVEN THE CASSETTE PLAYER COME AND GO. WE HAVE SEEN THE ADVENT OF THE TRIAXIAL SPEAKER, POWER AMPLIFIER, SUBWOOFER AND MUCH MORE. NOW THE NEW AND EXCITING TECHNOLOGY OF MP-3, i-POD, i-PHONE, BLUETOOTH (AUDIO AND CELLULAR) IS HERE ADAPTING TO SMALLER VEHICLES WITH PHYSICALLY SMALL POWERFUL POWER AMPLIFIERS AND SLIM MOUNT SUBWOOFERS. 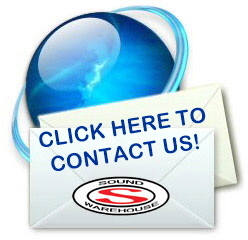 SOUND WAREHOUSE HAS EMBRACED THE TECHNOLOGY OF MOBILE VIDEO WITH FULL SIZED NAVIGATION/ENTERTAINMENT SYSTEMS AND THE NEW AND EXCITING MOBILE ENJOYMENT OF SATELLITE RADIO AND HD HIGH DEFINITION AM/FM RADIO. 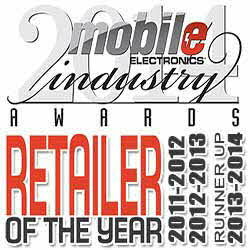 THE FUSION BETWEEN THE SMART PHONE AND THE MOBILE ENTERTAINMENT SYSTEM IS HERE NOW AND IS AVAILABLE AT SOUND WAREHOUSE. SMART PHONE APPS, “THE NEW WONDER OF THE WORLD” NOW AT SOUND WAREHOUSE. INTERFACE WITH YOUR ALARM/REMOTE START, STREAMING INTERNET MUSIC (PANDORA, IHARTRADIO, ETC. ), EVEN UP LOAD I-PHONE GOOGLE MAPS TO BIG SCREEN MONITORS; WOW! NOW AT THE WAREHOUSE! 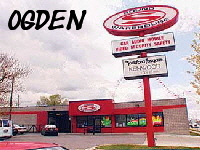 HOURS: 10AM TO 7PM MONDAY-SATURDAY, CLOSED SUNDAY.